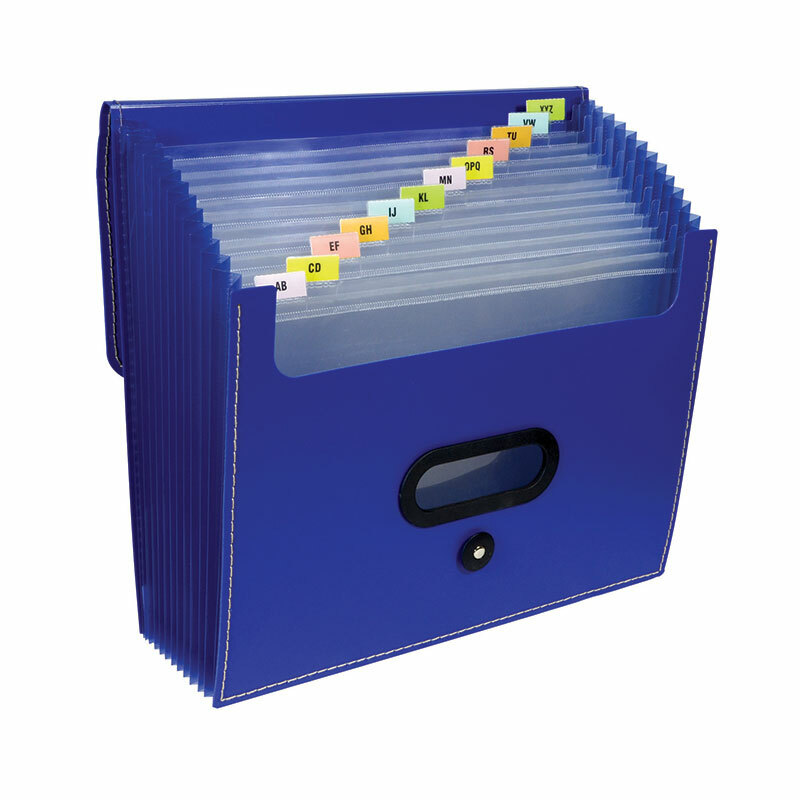 Ladder Expanding File features unique tiered design that allows for easier access to important papers and documents. Features extra durable, rigid poly construction and attractive exterior finish. Includes elastic string and double button closure that allows security flap to stay in place when in both the open or closed positions. 13 pockets expand to hold important materials. 12 dividers with pre-printed tab inserts. Cut-outs on front and back make for easy transport. Expands up to 10" to hold up to 1,000 sheets of paper. For letter size document storage. Blue with contrast stitching.